Long story (well, not very) short, in other words a short story shorter: Galleon spawned. A pug of 40 people was assembled quickly. The Horde had taken notice of it, too. We got to pull first. Everything looked nice and easy at the start. ... Until the Horde decided to flag themselves for PvP in order to get some of us to hit them, which would then enable them to take us out and make us wipe. 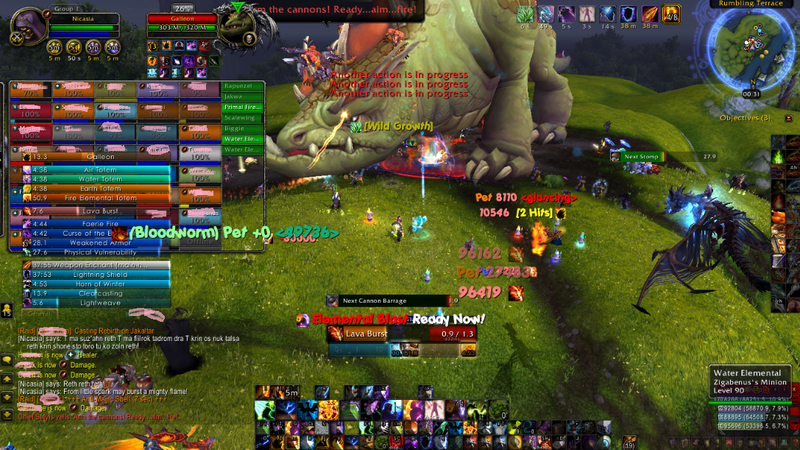 Some genious individuals of course attacked the Horde without giving it much thought. We got lesser and lesser in the numbers of the living towards the end. Our luck didn't only show in the kill, but three out of four participating Menagerie members got themselves loot as well. I was awarded a pair of boots, and of course the achievement. Yay!